One of the key figures in latin music was this great man. the montuno with a descarga section of improvised solos. we can see the circle close, afro-cuban getting round and round. music works miracles don’t you think.. This entry was posted in Cuba, Guaguanco, Guajira, Rumba, Rumba Son, Son, Son Montuno by Moos. Bookmark the permalink. 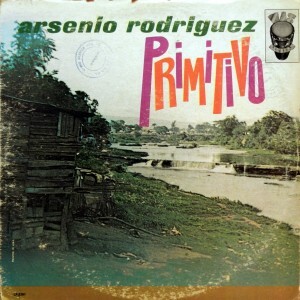 Seminal figure in the development Cuban rhythms. I became acquainted with him a couple of decades ago after hearing Dundunbanza, a homage to Arsenio, by Sierra Maestra who used to tour UK and Europe incessantly around that time. The marvellous Coplas de Espana, as the title would suggest, confronts us with the Spanish roots of Cuban music which are often overlooked in the context of the cross-fertilisation which took place with its tribal percussive roots in West Africa. Pure flamenco riffs drift in and out throughout this song. Arsenio never ceases to impress rather like Robert Johnson, Bessie Smith or Billie Holiday do in their own particular genres. A genuine maestro. Moos you have got such good taste in music – you seem to like everything I do! Around that time, when Sierra Maestra was touring the UK and Europe, I saw them in Utrecht. I remember their leader, Juan de Marcos González, it must have been around 1994. Some years later when the Buena Vista Social Club came to Carré, Amsterdam, I was there too, I remember it surprised me to see him perform with them as well. Listening to Sierra Maestra’s tribute cd to Arsenio Rodríguez, which is called ‘Dundunbanza’ I go back in time..wonderful stuff..
..glad to see somone awake out there ‘J’, cheers..
You shouldn’t have been surprised to see Juan de Marcos with BSC as I believe he was the true facilitator of the project with Nick Gold of World Circuit records and not “Ry Cooder [who] gathered together some of the greatest names from the history of Cuban music” (allegedly) which the PR people would have you believe (call me a cynical anti-capitalist if you like (- go on, massage my ego!)) to sell more units. In my humble opinion, Mr Cooder’s contribution to the inaugural CD offends the ear. Luckily I never had the misfortune to hear him play live with BSC. It is interesting that World Circuit in 1998 also released a double CD by Estrellos de Areito gleaned from EGREM recordings from 1979. They were a ‘super-group’ of old Cuban musicians including some who went on to participate in the BSC project like Ruben Gonzales and as such was a proto-type. I am sure that you will know it. It contains wonderful long rambling rootsy decargas which can only be enhanced by a bottle of Cuban rum and a pipe or two of your favourite herbal mixture. It should be on every school’s curriculum (the music of course not necessarily the pipes).